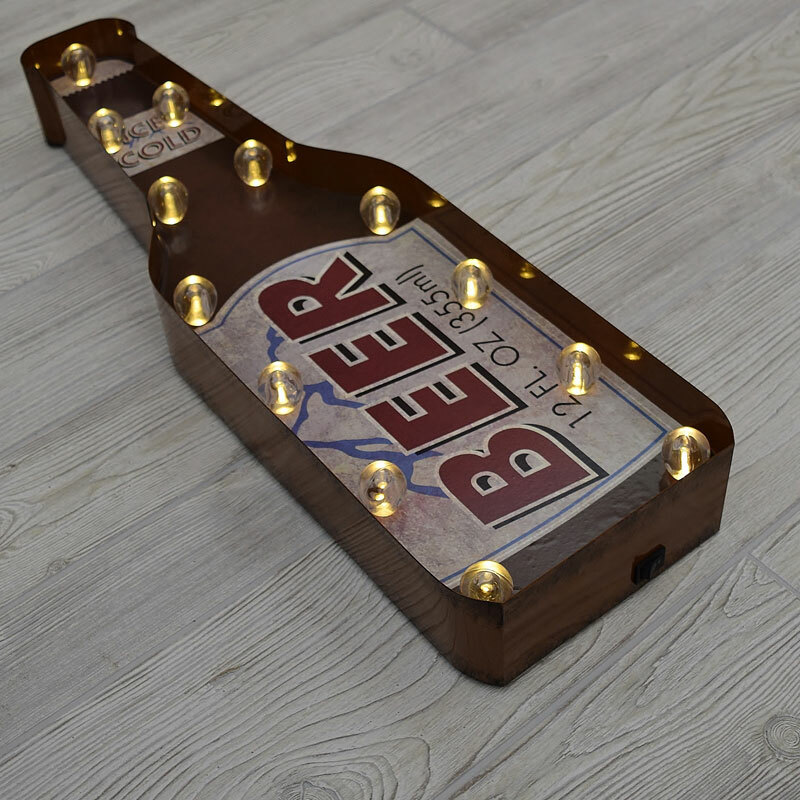 LED Lighted Beer Wall Sign - 23.6" x 7.08"
This Marquee Beer Bottle LED lighted wall sign is a battery operated wall sign with an on off switch and a timer function of 5 hours on and 19 hours off. 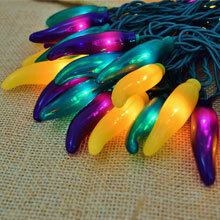 Turn the light on once and it will turn itself back on every day at the same time. 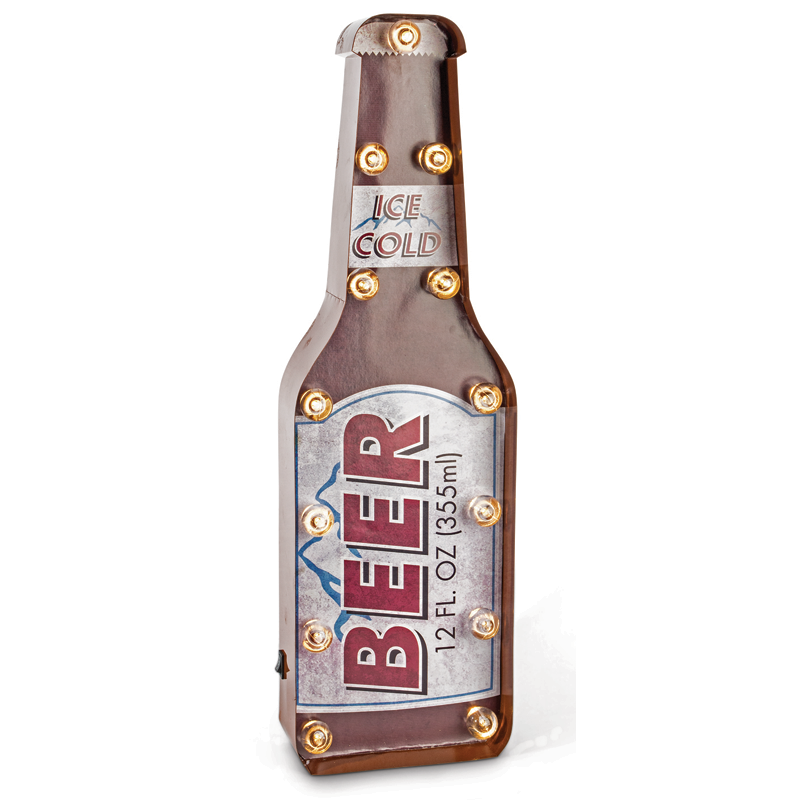 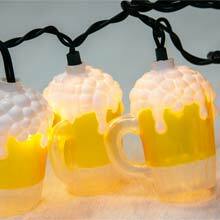 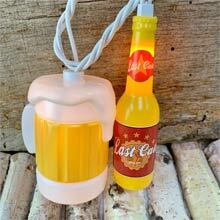 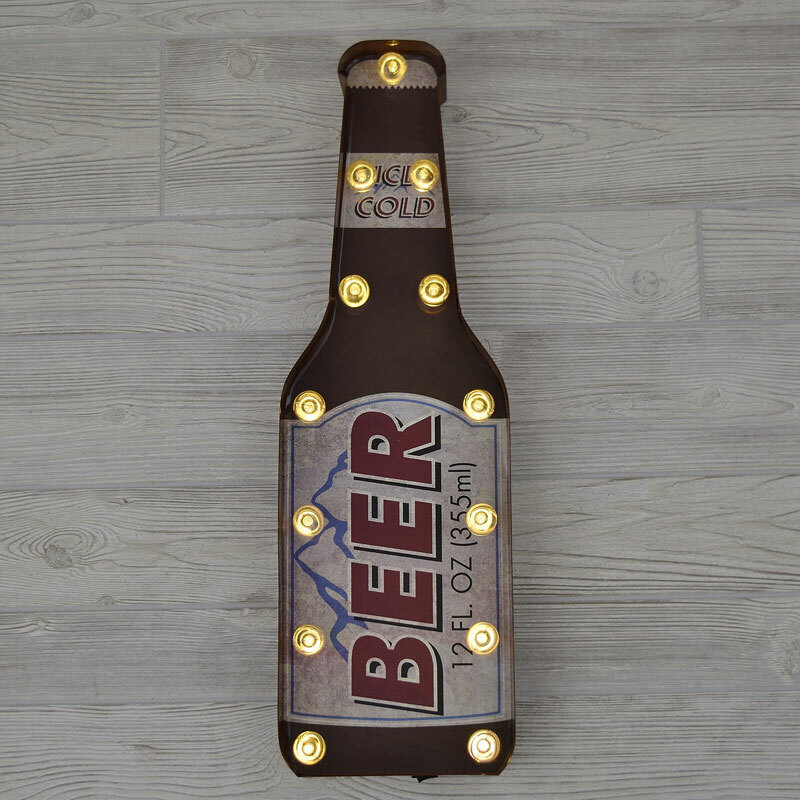 Use this beer bottle marquee LED lighted wall art to hang up in your man cave or behind your bar! 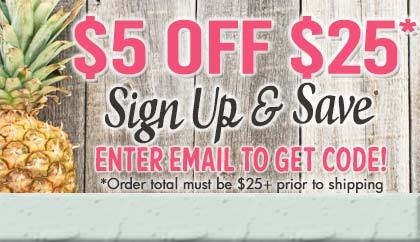 The vintage look of this sign is the perfect look for your decorations.